NEGLECTED MUSICALS presents ON THE TWENTIETH CENTURY, Book and Lyrics by Betty Comden and Adolph Green. Music by Cy Coleman at the Darlinghurst Theatre. For Michelle Guthrie, the producer of this company, NEGELECTED MUSICALS is a passion project catapulted and sustained by her love of the Musical Theatre. 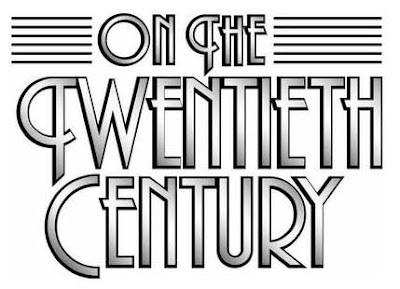 ON THE TWENTIETH CENTURY is the sixth presentation by this company and such is its gathering reputation that Ms Guthrie can attract the skills of Director Stuart Maunder, who, under his aegis and influence, has attracted a group of 12 actors who pull off this complex work with a sterling exhibition of professional elan. John Diedrich tackled the flamboyant and outrageous leading role of Oscar Jaffe with enormous confidence and a madly passionate demonstration of finesse. His characterisation enormously pleasing. The singing terrific. Similarly, Katrina Retallick, tackles a fiendishly virtuosic demand as Lily Garland. The music skills of this role are startling and Ms Retallick gives them great feeling and power and reveals a lovely ability to create character in a style of musical that could encourage theatrical bluster, but in her hands, in this rehearsed reading, a poignancy and camp sparkle, both at the same time. All of the company were robust, engaged, witty and present. A daring theatre energy of do-or-die. I especially enjoyed the reliability and musical theatre cleverness of the contributions of Blake Erickson and Jay James-Moody. The stand out performance, however, must go to Luke Byrne, who, as the musical director, played his 'electric' piano tirelessly with great panache and energy, leading and supporting the performing artists with technical nous and great empathy. ON THE TWENTIETH CENTURY has a special place in my theatre going history. It was the first professional theatre that I ever saw outside of Australia. I saw the road tour company of this Broadway production in San Francisco with Judy Kaye as Lily, Imogene Coca as Letitia Primrose and, believe it or not, Rock Hudson as Oscar. I remember being surprised by his performance, and amazed. I am not certain if Kevin Kline was still giving his Tony Award winning performance as Bruce Granit - but he may have, for I remember its rendition as one of great physical extravagance that was more about the naughty actor than the function of the character. (It was outrageously camp!, preposterously fun). This show, an operetta really, with Music by Cy Coleman using the motif of the moving train as the propulsive energy of most of the score, with a Book and Lyrics by two of the wittiest and wickedest writers in this genre, Betty Comden and Adolph Green - mind you they had great material to begin with, as it is an adaptation of an original play by smart and wry Ben Hecht and Charles Macarthur from an earlier play by Bruce Millholland. It was, also, a famous contribution to the Hollywood 'screwball comedy' tradition as a film TWENTIETH CENTURY by Howard Hawks, starring John Barrymore and Carole Lombard (1934). The original ON THE TWENTIETH CENTURY production had an extravagant scenic design by Robin Wagner and stunning costumes by Florence Klotz. The set design encompassed a train engine, a caboose, and a set of open carriages to carry the action. Why this wonderful musical has never been seen in Australia professionally probably has to do with the expensive demands of the design realisation (I do remember that the Bankstown Musical Society presented this work, years and years ago!!!). This was a Hal Prince production and its "to the hilt" extravagance was part of the panache and glamour of his work at this time. Maybe it was the apex of this period of his career? And although the show had a relatively short run - what with the loss of Madeline Kahn, only two months into its original run, probably affecting the box office - it is simply one of my favourite shows. Great it was to see it and hear it live, again. Thanks. It is mooted that ON THE TWENTIETH CENTURY may have legs next year in New York with Hugh Jackman and Kristin Chenoweth. Worth catching, maybe. This version by NEGLECTED MUSICALS had all of the energy and sense of its style, wit and cleverness which is at the core of this marvellous example of a certain period of Broadway Musical history. Add all the extras and one may have a truly great show. 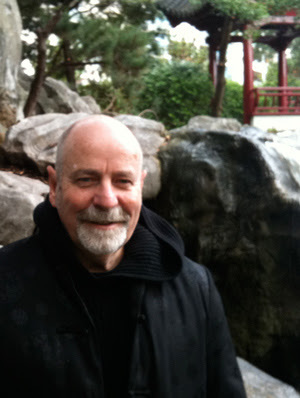 Opera Australia, Mr Maunder? Queensland Opera?